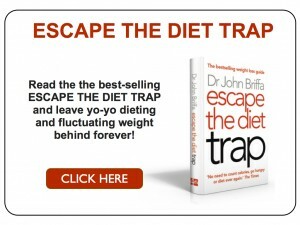 Dr John Briffa’s latest book – Escape the Diet Trap – promises to put an end to yo-yo dieting and fluctuating weight. The book shows how conventional advice – to ‘eat less and exercise more’ – actually causes the body to resist weight loss and dooms us to failure in the long term. Escape the Diet Trap turns traditional advice on its head, and offers a science-based and sustainable approach to weight loss that works with the body, not against it. The book reveals how to achieve lasting weight control with ease, and without any of the calorie counting, extensive exercise or hunger typical of conventional approaches. Are you carrying extra weight, especially around the midriff, that you’d like to get rid of? Can you be confused by conflicting and contradictory weight loss information, and just want something that really works? Do you want to transform the look and feel of your body, without having to turn your life upside down? Do you try all the latest fad diets and find that you re gaining weight instead of losing it? 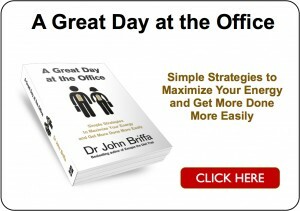 Are you convinced you must be doing something wrong? In The True You Diet, Dr John Briffa reveals why a diet that works for some can prove a crashing failure for others: it really is true that one persons meat can be another’s poison! Buy The True You Diet can discover the best foods for you, and what to eat to achieve lasting weight loss and optimal wellbeing. Simply the most comprehensive, hip and accessible natural healthcare guide for kids available. As all parents know, a child’s health is precious, but often disrupted by all manner of bugs, allergies and scrapes. In this book, Dr Briffa has done all the homework a parent doesn’t have time to tackle, and provides easy-to-follow, sensible advice that really works.